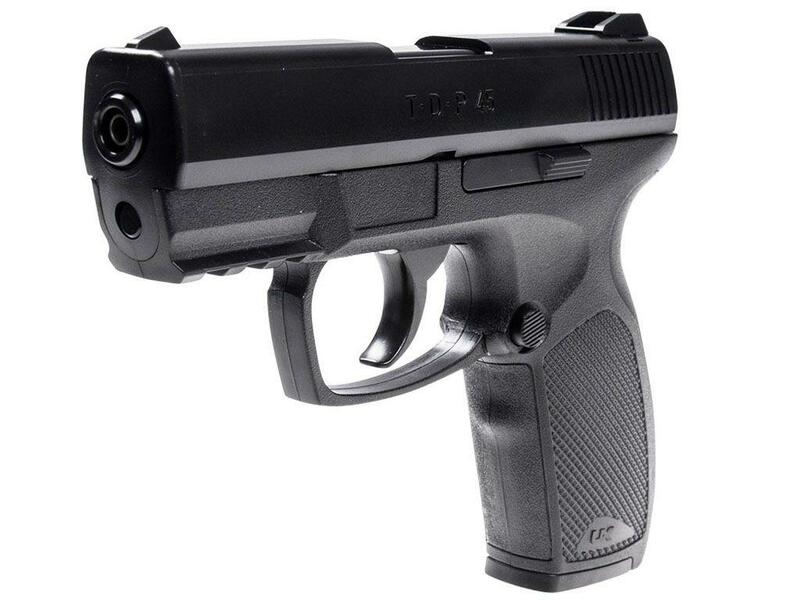 Buy Cheap Umarex 2254821 TDP 45 CO2 BB Pistol|ReplicaAirguns.ca | New Website! Build Quality: The Umarex XBG and Umarex TDP 45 internally share many of the same components and I am assuming they both use many of the same internal parts; they do have much different plastics shells which you will find to have all mechanical parts to be moulded into with the exception of the Trigger, safety and magazine release. Again, most of the build materials are plastic with the exception of some internal parts, the magazines, the barrels and the triggers. 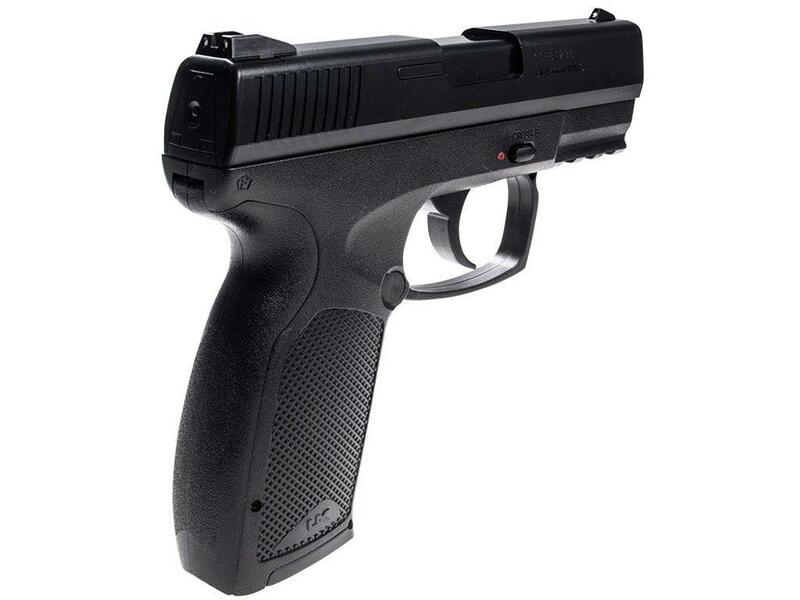 Excellent low cost BB gun! Gets about 150-200 shots per co2! Accurate, cheap, good power, and efficient with co2 usage? 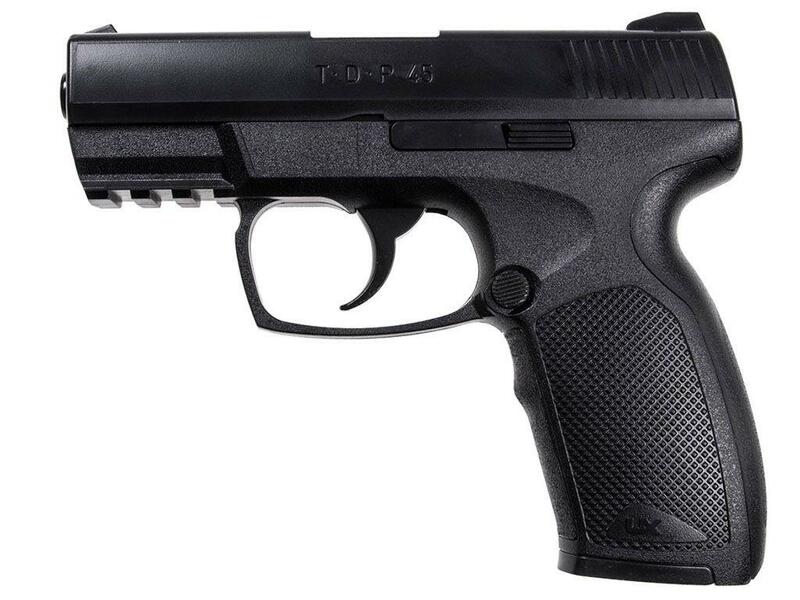 No blow back, which is why I like this pistol as it makes it a very efficient shooter! 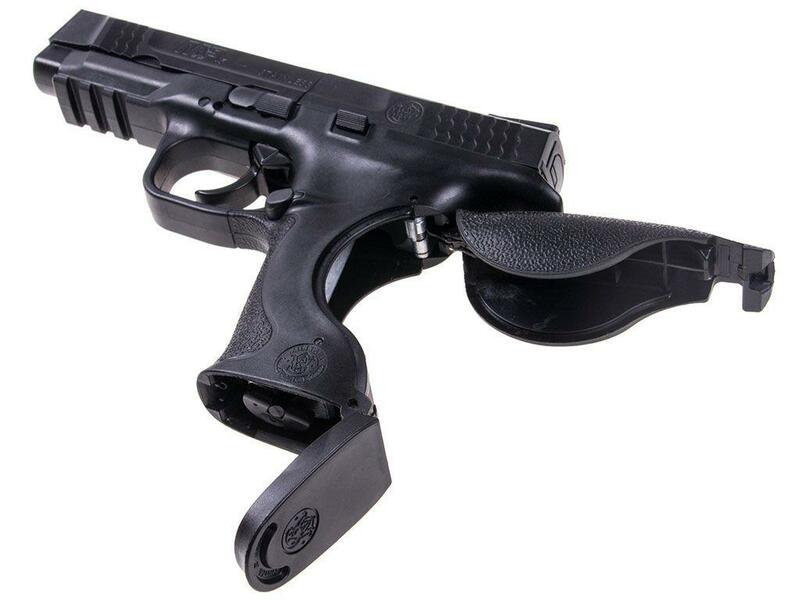 Buy extra magazines for faster reloading! I bought this for my son, I am buying another for myself it's so fun! 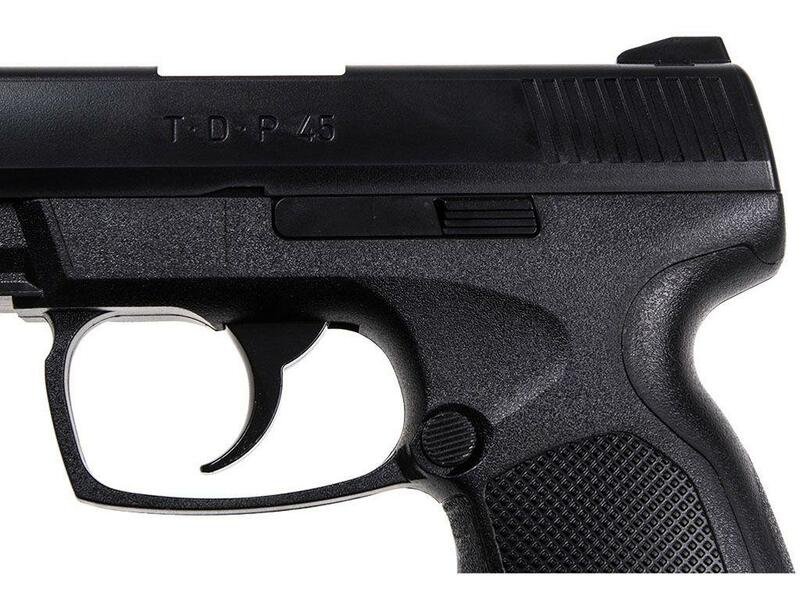 http://www.ReplicaAirguns.com - Umarex XBG and TDP 45 CO2 BB Pistol Table Top Review. 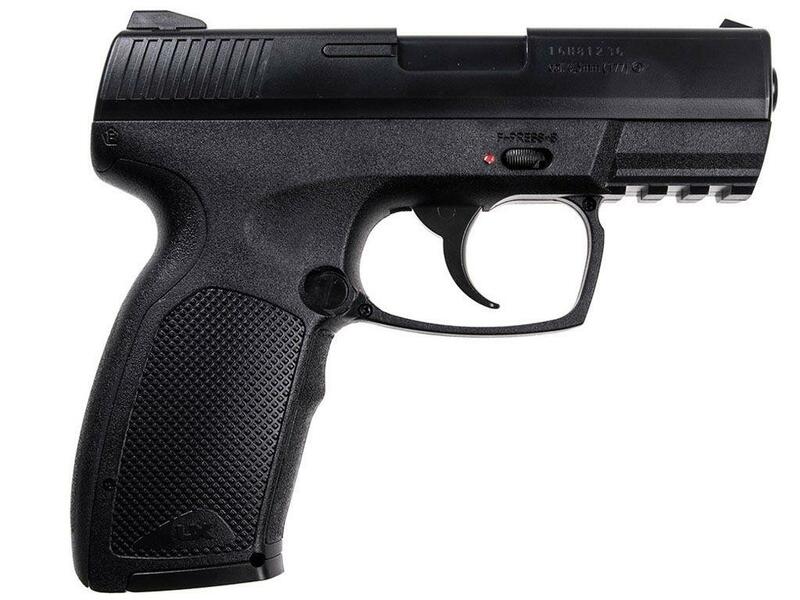 This video is a walkthrough review of the Umarex XBG and TDP 45 Non-blowback CO2 BB Pistols. I show off these airgun close up from all angles and point out the mostly plastic external construction and go through the features and benefits of these low cost but very rewarding BB pistols. There is no actual shooting or testing for these pistols but I will be doing a follow up Filed Test Shooting Review shortly!